44mm flush FD30 fire rated internal oak veneered door with 2 full height curved vision panels, creating an interesting and stylish design. Glazed with clear toughened glass, protected by film to be removed after applying finish (Paint'N'Peel). Supplied unfinished. Available in standard imperial sizes with 10 years manufacturing guarantee. 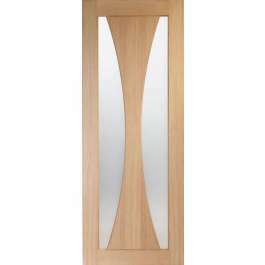 The Verona door is included within our new Ellipse Oak collection which combine oak veneer with fluid shapes to create a contemporary twist. 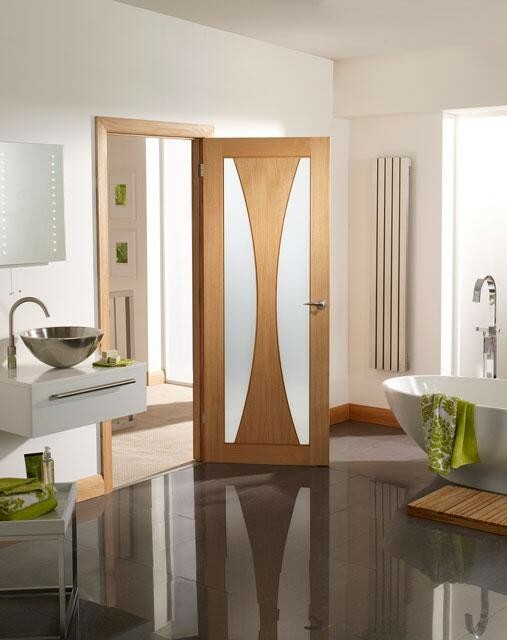 This range of doors are perfect for either a minimalist or homely living space and available in both panelled and glazed options giving a broad appeal.